Mr Qi Liu was born in Zhengzhou, the capital of Henan Provence in China in 1979. 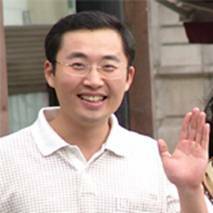 He gained his first degree on Computer Science and Technology in Zhuzhou Institute of Technology (Hunan, China) in 2003. After that, he came to the University of Salford for his master programme and got the degree of MSc Data Telecommunications and Networks with Distinction in 2005. At present, he is a PhD student with Prof. Nigel Linge. The title of the PhD project is “Context Driven Ad Hoc Networks”. Here the context can be the location of a component in an ad hoc network, its identifier, and any other relevant information. The project aims at the construction of a context model, which is able to retrieve, maintain and exchange context information. Two main modules are developed; they are Context information Base (CiB) and Context Communication Protocol (CiComm). The CiB is designed for the storage and management of context information. The CiComm is a communication protocol located at the data link layer; it enables communication between CiB-integrated components within an ad hoc network and therefore realises the sharing, updating and releasing of remote context information to/from neighbours. The implementation of the context model offers an alternative approach to context representation and its exchange in an ad hoc network. At present, the model has been built in NS2 with full features. Large scale simulation, followed by functionalities and performance evaluation is being scheduled and undertaken. Liu, Q. and Prof. Linge, N., Context-Driven Ad-Hoc Networks, PGNET 2007, 8th Postgraduate Symposium on the Convergence of Telecommunication, Networking and Broadcasting, June 2007.